MENTION darts and the perception is it is a parlour sport associated with alcohol, smoking, gambling and exclusively played in pubs. 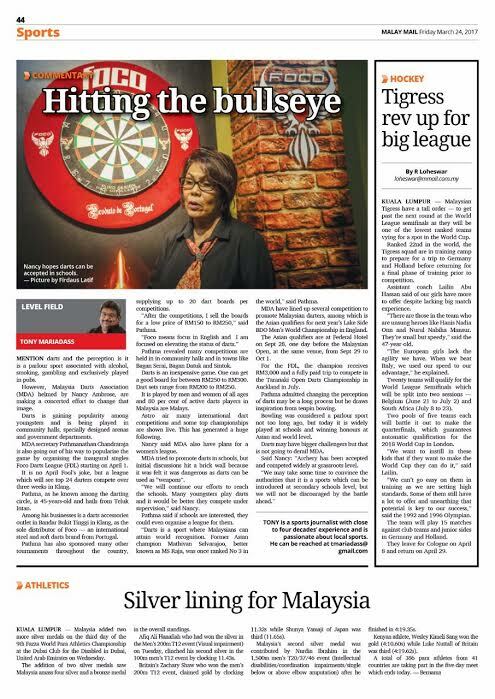 However, Malaysia Darts Association (MDA) helmed by Nancy Ambrose, are making a concerted effort to change that image. Darts is gaining popularity among youngsters and is being played in community halls, specially designed arenas and government departments. 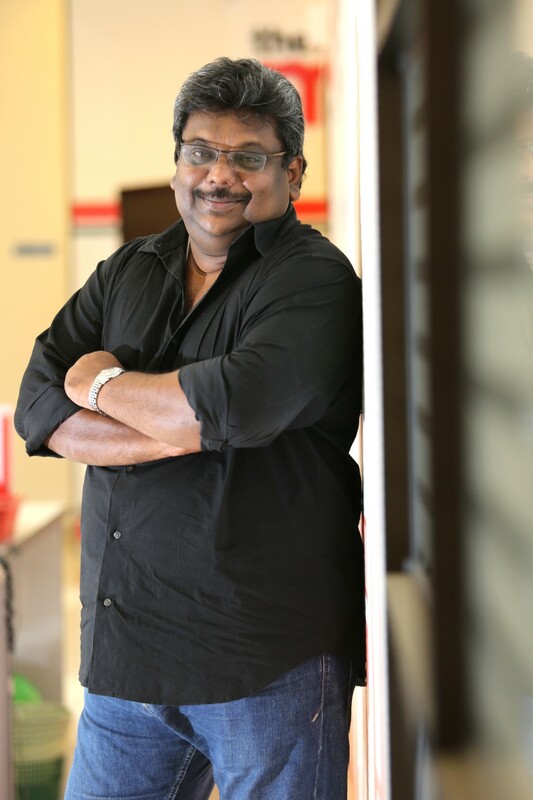 MDA secretary Pathmanathan Chandraraja is also going out of his way to popularise the game by organising the inaugural singles Foco Darts League (FDL) starting on April 1. It is no April Fool’s joke, but a league which will see top 24 darters compete over three weeks in Klang. 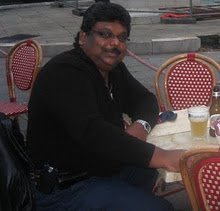 Pathma, as he known among the darting circle, is 45-years-old and hails from Teluk Intan. Among his businesses is a darts accessories outlet in Bandar Bukit Tinggi in Klang, as the sole distributor of Foco — an international steel and soft darts brand from Portugal. Pathma has also sponsored many other tournaments throughout the country, supplying up to 20 dart boards per competitions. “After the competitions, I sell the boards for a low price of RM150 to RM250,” said Pathma. 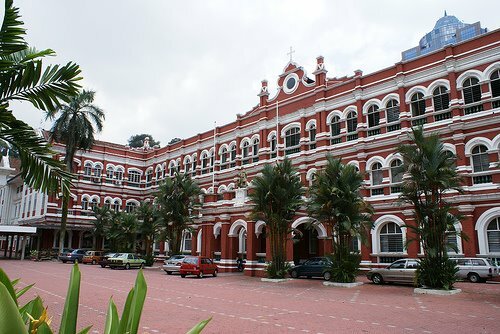 Pathma revealed many competitions are held in in community halls and in towns like Bagan Serai, Bagan Datuk and Sintok. Darts is an inexpensive game. One can get a good board for between RM250 to RM300. Dart sets range from RM200 to RM250. It is played by men and women of all ages and 80 per cent of active darts players in Malaysia are Malays. Astro air many international dart competitions and some top championships are shown live. This has generated a huge following. Nancy said MDA also have plans for a women’s league. MDA tried to promote darts in schools, but initial discussions hit a brick wall because it was felt it was dangerous as darts can be used as “weapons”. “We will continue our efforts to reach the schools. Many youngsters play darts and it would be better they compete under supervision,” said Nancy. Pathma said if schools are interested, they could even organise a league for them. “Darts is a sport where Malaysians can attain world recognition. 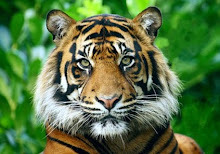 Former Asian champion Mathivan Selvarajoo, better known as MS Raja, was once ranked No 3 in the world,” said Pathma. MDA have lined up several competition to promote Malaysian darters, among which is the Asian qualifiers for next year’s Lake Side BDO Men’s World Championship in England. The Asian qualifiers are at Federal Hotel on Sept 28, one day before the Malaysian Open, at the same venue, from Sept 29 to Oct 1. For the FDL, the champion receives RM3,000 and a fully paid trip to compete in the Taranaki Open Darts Championship in Auckland in July. Pathma admitted changing the perception of darts may be a long process but he draws inspiration from tenpin bowing. Bowling was considered a parlour sport not too long ago, but today it is widely played at schools and winning honours at Asian and world level. Darts may have bigger challengers but that is not going to derail MDA. Said Nancy: “Archery has been accepted and competed widely at grassroots level.